Internships with Harper Building Systems can lead to careers with Harper. Approximately 80 percent of students who intern with us return to become full-time employees. That's because time with Harper allows our interns to recognize us as a company that cares about its workers' continued growth and development. 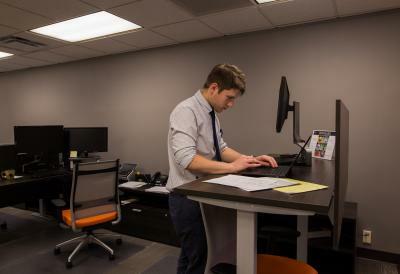 We're one of the largest mechanical systems solutions providers in the country, and our national footprint allows people to find jobs close to home at one of our many branch offices. We realize that life goes on outside of work. Harper wants our employees to like what they do and have time to enjoy their lives when they leave the office. Even if your internship with Harper only lasts a semester or a summer, it could be the gateway to a profession that lasts a lifetime.